Welcome to the April 2, 2018 edition of ACM TechNews, providing timely information for IT professionals three times a week. 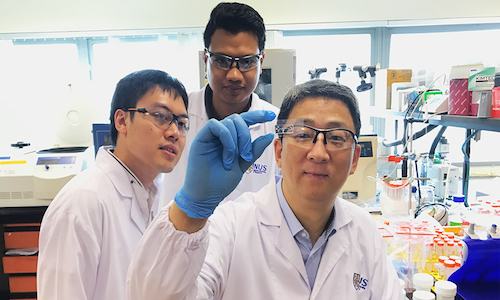 National University of Singapore (NUS) researchers have developed a microfluidic chip that could identify minuscule amounts of biomolecules without intricate lab equipment. "Detection can be performed using standard laboratory microscopes, making this approach highly attractive for use in point-of-care diagnostics," says NUS professor Zhang Yong. The label-free method leverages the lateral shifts in the position of the microbead substrate in pillar arrays for measuring the biomolecules according to the change in surface forces and size, without requiring any external equipment. The use of lateral displacement means the nano-biomolecules can be detected in real time and significantly faster in comparison to fluorescent label-based detection. "These techniques can also be extended to many other types of nano-biomolecules, including nucleic acid and virus detection," Zhang notes. "To complement this chip technology, we are also developing a portable smartphone-based accessory and microfluidic pump to make the whole detection platform portable for outside laboratory disease diagnostics." Researchers at Jaume I University (UJI) in Spain have invented a "Smart Beetles" application designed to make people aware of smart city services as they play a three-dimensional virtual reality game. The goal of the app is to create a fun tool that informs people of the locations of such services. The proposal was deployed using Unity3D, OpenStreetMaps, and ESRI City Engine. "The first prototype of Smart Beetles has modeled the city of San Diego, since we presented the project in this town, in the ESRI User Conference," says UJI's Francisco Ramos. He notes the game "allows the user to learn about the services offered by a city through play. This will lead to citizens using them in a more intelligent way." Ramos says the app presents technological innovations pertinent to science, such as the integration of data from the city within the game engine. Researchers at the University of Munster in Germany have demonstrated that combining the Monte Carlo Tree Search with deep neural networks based on machine learning and artificial intelligence is useful for planning chemical syntheses with record efficiency. "So far, everyone assumed that computers couldn't keep up without experts programming in tens of thousands of rules by hand," says Munster's Marwin Segler. "What we have shown is that the machine can, by itself, learn the rules and their applications from the literature available." 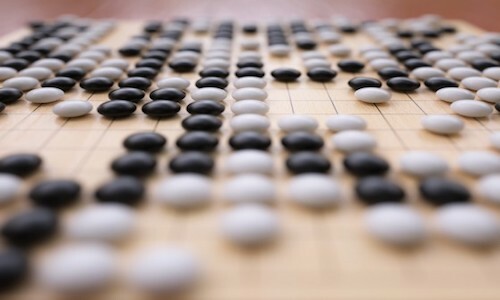 The researchers had a computer search for the best possible "moves" for chemical synthesis while also gaining knowledge from all chemical literature ever published via deep neural networks. "The deep neural networks are used for predicting which reactions are possible with a certain molecule," says Munster's Mike Preuss. "Using the Monte Carlo Tree Search, the computer can test whether the reactions predicted really do lead to the target molecule." Carnegie Mellon University (CMU) researchers have developed a system that can translate various three-dimensional (3D) shapes into stitch-by-stitch instructions executed by a computer-controlled knitting machine, and have used it to produce plush toys and garments. CMU professor James McCann envisions this milestone perhaps leading to on-demand machine knitting. His team's algorithm takes the knitting machines' limitations into account, generating instructions for patterns that work within these constraints and lower the risk of yarn breaks or jams. McCann notes additional work is needed to expand the system's capabilities beyond producing only smooth knitted cloth, which lacks the patterned stitching that can make knitted garments distinctive. "The software...needs a little push," McCann says, "and software can improve rapidly because we can iterate so much faster." The work will be presented in August at the ACM Conference on Computer Graphics and Interactive Techniques (SIGGRAPH 2018) in Vancouver, Canada. The HoneyBot is a robot designed by researchers at the Georgia Institute of Technology (Georgia Tech) to deceive industrial hackers into exposing information to cybersecurity professionals. A HoneyBot could sit motionless in the corner of a factory, only to be activated when a hacker gains access and signaling visually that a malefactor is targeting the plant. The robot could be programmed to obey certain innocuous commands without actually doing anything harmful. "If the attacker is smart and is looking out for the potential of a honeypot, maybe they'd look at different sensors on the robot, like an accelerometer or speedometer, to verify the robot is doing what it had been instructed," says Georgia Tech professor Raheem Beyah. "That's where we would be spoofing that information as well." 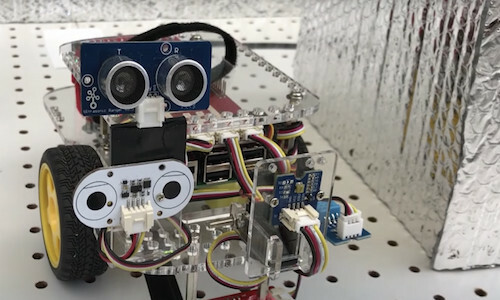 In one experiment, volunteers used a virtual interface to control the HoneyBot without seeing its actual actions, and were fed false sensor data to make them think they were in control. Massachusetts Institute of Technology (MIT) researchers have trained a machine learning system to search for debris disks around stars using telescopic data. The system was found to corroborate with human identifications of debris disks 97 percent of the time, while the team also trained it to rate debris disks it found based on their likelihood of containing detectable exoplanets. The researchers say the system identified 367 previously unexamined celestial objects as promising candidates. MIT's Tam Nguyen first carved up the data into small chunks, then applied standard signal-processing techniques to sift out artifacts. Afterwards, she identified chunks with light sources at their centers, and used existing image-segmentation algorithms to excise any additional sources of light. Nguyen used basic principles of physics to filter the data further, studying variation in the intensity of the light emitted across four different frequency bands, and using standard metrics to evaluate the position, symmetry, and scale of the light sources. 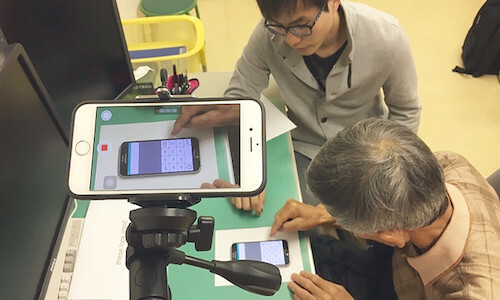 Researchers at Aalto University in Finland and Kochi University of Technology in Japan have devised an algorithmic approach to optimizing user interfaces for people with disabilities, such as dyslexia, dementia, or essential tremor. "The majority of available user interfaces are targeted at average users. This 'one size fits all' thinking does not consider individual differences in abilities," says Aalto postdoctoral researcher Jussi Jokinen. Although there are ways to automatically optimize the user interface, they require a realistic model of the user, and designers have lacked detailed models that can help predict how individuals will perform in interactive tasks, Jokinen says. The team's new predictive model forecasts how individual abilities impact text entry on a touch screen. The model uses psychological research on finger pointing and eye movements to predict text entry speed, typing errors, and proofreading. The researchers used the model to simulate a user with essential tremor, which led to a text-entry interface that allowed a real user to type almost error-free messages. Oak Ridge National Laboratory (ORNL) researchers are performing fundamental physics experiments that are expected to lead to greater control over quantum systems and materials, enabling advancements in quantum computing, sensing, simulation, and materials development. One experiment involved driving nitrogen vacancy center defects in nanodiamonds with plasmons, with the defects probed for use in tests of entanglement, which will permit substantially more information to be encoded in a quantum system than can be achieved with classical computing. ORNL's Matthew Feldman used a high-energy electron beam to excite nitrogen vacancy centers in diamond nanoparticles, causing light emissions, and then employed a cathodoluminescence microscope, which measures the visible-spectrum luminescence of irradiated materials, to gather the emitted photons and describe high-speed interactions among nitrogen vacancy centers, plasmons, and vibrations in the nanodiamond. "This work advances our knowledge of how to control light–matter interactions, providing experimental proof of a phenomenon that had previously been described by simulation," says ORNL's Benjamin Lawrie. Researchers at ETH Zurich in Switzerland and the Hebrew University of Jerusalem in Israel say they have developed a new machine-learning algorithm that analyzes large datasets describing a physical system and extracts from them the essential information needed to understand the underlying physics. They note the machine-learning algorithm is based on an artificial neural network that can differentiate the many degrees of freedom of the system, identifying those that are most relevant to its physical behavior. The algorithm incorporates the crucial step of the renormalization group, in which the internal data representations discovered by the algorithm are used to provide fundamental physical insight, reflecting the underlying structure of the physical system under scrutiny. The researchers think this breakthrough raises the prospect of employing machine learning collaboratively, combining the power of machines to distill information from vast datasets with human creativity and background knowledge. Students at the University of Manchester in the U.K. have designed and built a low-cost, three-dimensionally (3D)-printed robotic prosthetic hand that could provide a more affordable alternative for amputees. The prosthetic hand's joints are all fully posable, with each individual finger and the thumb able to move. The hand's functionality enables its user to do simple everyday tasks such as picking up items, handling tableware, typing and clicking a computer mouse, or opening doors. In addition, the new design comes with Bluetooth connectivity and an Android app. The prosthetic is controlled using muscle sensors placed on the user's arm that can be paired with the app. "The functionality is customized through the phone app, but the muscle sensors provide the control by moving the hand whenever necessary," says Manchester's Alex Agboola-Dobson. Researchers at the University at Buffalo (UB) and Chang'an University in China are developing ePave, a project to set up networks of self-powered wireless sensors under roadways to provide regular updates on road conditions to transportation planners, drivers with connected cars, and others. 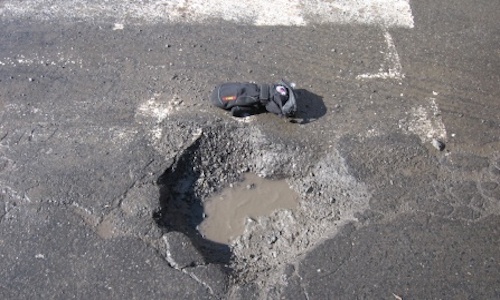 "We want to detect road faults before they happen, and ultimately help motorists avoid traffic accidents due to damaged roads," says UB professor Wenyao Xu. The project seeks to harness piezoelectricity from the mechanical stress that vehicles put on roads to power the system. Sensors two to three centimeters below the surface can tap into and store sufficient power to regularly detect moisture, pressure, and other information, which can be transmitted every 10 minutes to relay stations up to 1,000 feet away. These stations could be built into street lights or similar structures, and the data could then be sent to a network via underground cables and shared with various parties.